The current Democratic Republic of Congo flag is a very recent design, but elements of the flag can be traced back to the nation's time as a Belgian colony. It has very little in common with the Republic of Congo flag despite the shared heritage of the two nations. 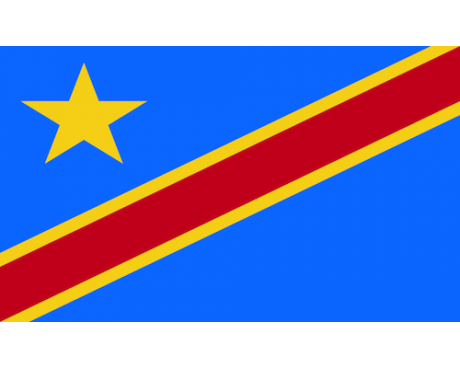 The Democratic Republic of Congo flag has a sky blue field with a gold star in the canton. The field is bisected by a red line with a gold border. The red color represents the blood that had been shed by the nation's soldiers and the yellow represents the country's wealth. Both of those colors are shared with the Republic of Congo flag. 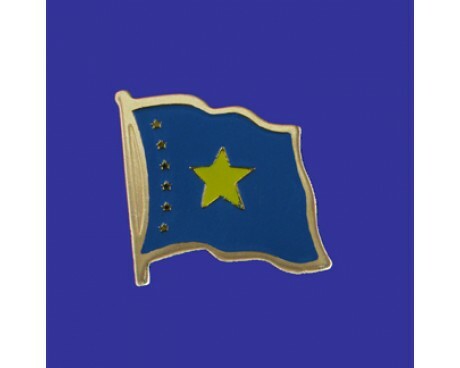 The blue field and the star are unique to the Democratic Republic's flag. 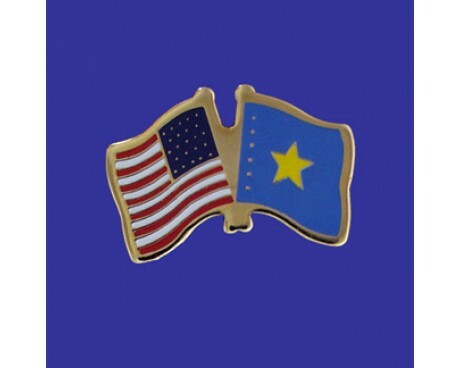 The blue represents peace, while the star represents the nation's future. 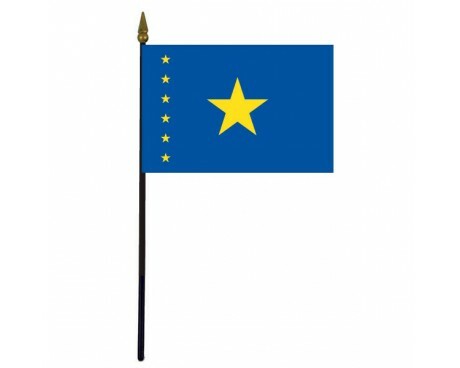 The flag of Congo is derived from the nation's colonial flag, which featured a gold star centered on a blue field. That flag began as the flag of the Association Internationale Africaine, which was sponsored by King Leopold of Belgium. The design was first used in 1877 to represent the organization, and it was formally adopted to represent the colony in 1908. The nation became independent in 1960, and it adopted a new flag at the same time. The new government added a column of six stars to the hoist side of the flag in order to make sure that the flag of Congo represented each of the new nation's states. That flag only represented the nation for three years before it was replaced with a clear precursor to the modern flag. The replacement flag differed from the modern flag only in that it had a thinner bisecting line and used a darker shade of blue for the field. The proportions of the line were adjusted in 1966, which created the design that was in use until 1971, at which point the nation became known as Zaire. Zaire used a flag with a green field that displayed a hand holding a torch on a yellow disc in the center. 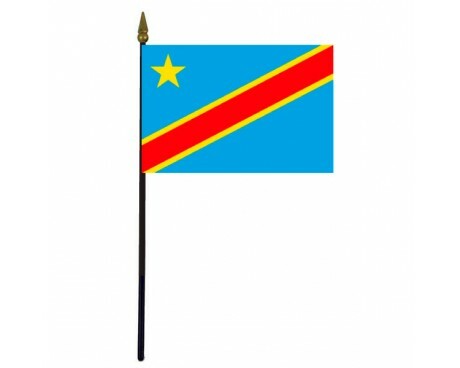 That flag fell out of use in 1997 when a new government was established and the nation's name reverted to the Congo. The flag resembled the independence flag, but with a slightly lighter shade of blue for the field. The field was lightened again in 2006, and the modern flag came into use in 2006.